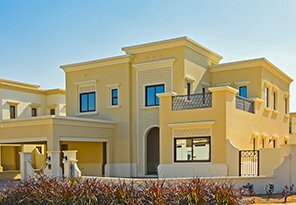 Since 2004, Betterhomes has been actively involved in Off Plan projects within the UAE due largely to its size and network of branches in Dubai and Abu Dhabi. With a young and vibrant team of over 150 RERA certified agents including two Off Plan Specialists, Betterhomes is very comfortable promoting and advising clients on all types of Off Plan Properties and our portfolio exceeds 100 current projects. Before accepting any mandate to market an Off Plan projects, Betterhomes vets and qualifies each and every developer and only engages with those developers Betterhomes feels are competent and trustworthy. 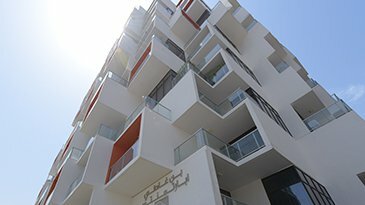 This provides its clients with a level of comfort that the projects they are considering are reputable. Different from most other agencies, Betterhomes has a reputable Property Management department fully aware of conducting thorough property inspections for Off Plan projects prior to handover, allowing clients to feel comfortable that their new investments are delivered in good shape. 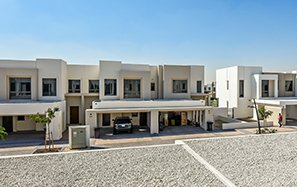 Spacious townhouses of 3 & 4 bedrooms ranging from 1,947 sq. ft. to 2,333 sq. ft. 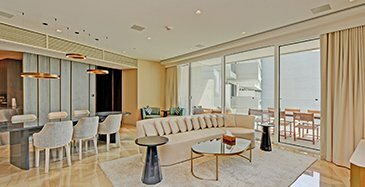 Collaboration project by Dubai's master developer and Elie Saab.